With sites like Twitter, YouTube, and other social networks, the social web will change how hotels optimize for organic search. Over the last few months, we’ve witnessed the power of Social Media sites – from the breaking news of the pirates attack by The White House, amazing first photo of ‘Miracle on the Hudson,’ to the spread of the Swine Flu hysteria. 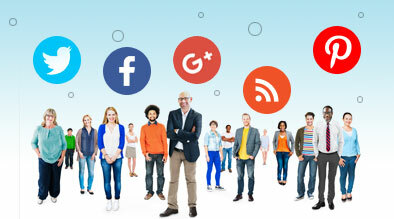 Social Media sites have revolutionized the way we get our information and it continues to grow exponentially. April saw a record month with nearly three-quarters of the US online population visiting at least one Social Media site. Recently, USA Today published an article using Twitter as a tour guide to find Los Angeles restaurants, nightlife, and lodging. Hotels capture buzz by listening and providing expert advice pertaining to their destination and target audience. 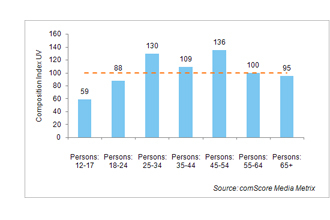 According to comScore (http://blog.comscore.com/radwanick.html) , “the 45-54 year olds are 36 percent more likely than average to visit Twitter, making them the highest indexing age group, followed by 25-34 year olds, who are 30 percent more likely.” While Facebook tends to have similar demographics, MySpace and YouTube have a younger user base; but together, this group of Social Media sites reaches nearly 160 million potential guests monthly. Hotels that create a social media plan can increase organic rankings and dominate the SERP’s with the right keyword strategy resulting in a lower cost per acquisition. I believe Twitter will eventually provide search engines with its real time content, comments, and links to new pages for the Index. Set your strategy for future success by optimizing your website and embracing a social media presence to maximize conversion, traffic, and branding. I have created Facebook pages for several businesses, from different industries and have found that the hotel industries really are one of the best types of industries suited to a Facebook Page. For example, hotels can directly interact with new guests and old, keeping your location in the top of their minds, reminding them of what a great time they had with you, encouraging repeat guest and referrals of new guests. (Verbal referrals being very important to hotels). Gaining a locale following, all hotels have high and low seasons, locals might mean anything from 100 yards to 1000Km, they do use local hotels for meetings, dinning and take short breaks, weekends away etc. and are often asked for advice by friends that visit their area on where to stay and eat. Local guests for example in our case are not affected by political problems, volcanos in Europe etc. Having a strong local following protects you in slow times and gains you good steady traffic from the referrals locals give you. This is not to be underestimated. We have learned over the years that financially this is a great tool and thank god has been over looked by the bigger hotel chains up until now. Direct referrals have another advantage, that is always forgotten by the industry, with its heavy reliance on agent sties to sell rooms for them, is that an agent takes in most case 20% of your room revenue, were direst bookings do not. Add that up over a year how much more could a hotels spend on direct marketing including Facebook and social media. it does not take much though, to realise that hotels are an integral part of peoples holiday, and big ticket item for most people, they want to share this with friends and family when they return home it does not take much to encourage them to share this with a wider forum and social sites like Facebook are great for this. Feel free to browse our facebook page and see how much interaction is going on and how much of it is from our guests and not just us pushing us. Our page for a 40 room resort in the middle of know where on a very small island 60km from the nearest land over 200km from the next big-ish town has now over 20,000 likes and very loyal following and I can’t state enough how it has assisted us in becoming as successful we are. I can’t see how this would not be a useful tool to any Hotel of any size, and is truly easy to implement, it just takes a little bit of cash and a little bit of thought.